This year marks the 50th anniversary of a series of Civil Right Demonstrations for Voting Rights. On the 7th of March, 1965, unarmed demonstrators and activists were brutally attacked by Alabama state and local law enforcement officials armed with tear-gas and billy clubs. 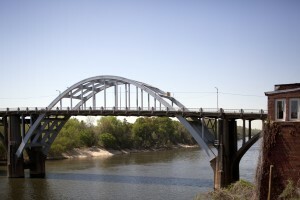 The scene of what is known today as “Bloody Sunday” was the Edmund Pettus Bridge. On the 3rd of June, 2015, the Alabama Senate voted to change the name of this historic landmark to Journey to Freedom Bridge. honor the memory of the Civil Rights protest marches which culminated in the legendary March on Washington and the momentous “I Have a Dream Speech” by Martin Luther King. 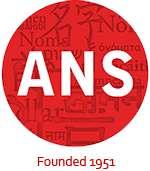 rid the landmark of the original name-sake: a U.S. Senator, Confederate General, and Grand Dragon of the KKK. This second reason caused controversy; both Pettus-critics and Pettus-supporters argued that the name is integral to remembering the remarkable history of Southern racism and activism. While the Alabama House of Representatives decides on the onomastic resolution, the city of Selma came together at the beginning of this month to celebrate the diamond anniversary of this (in)famous U.S. American landmark. For additional information, see this article and this article.